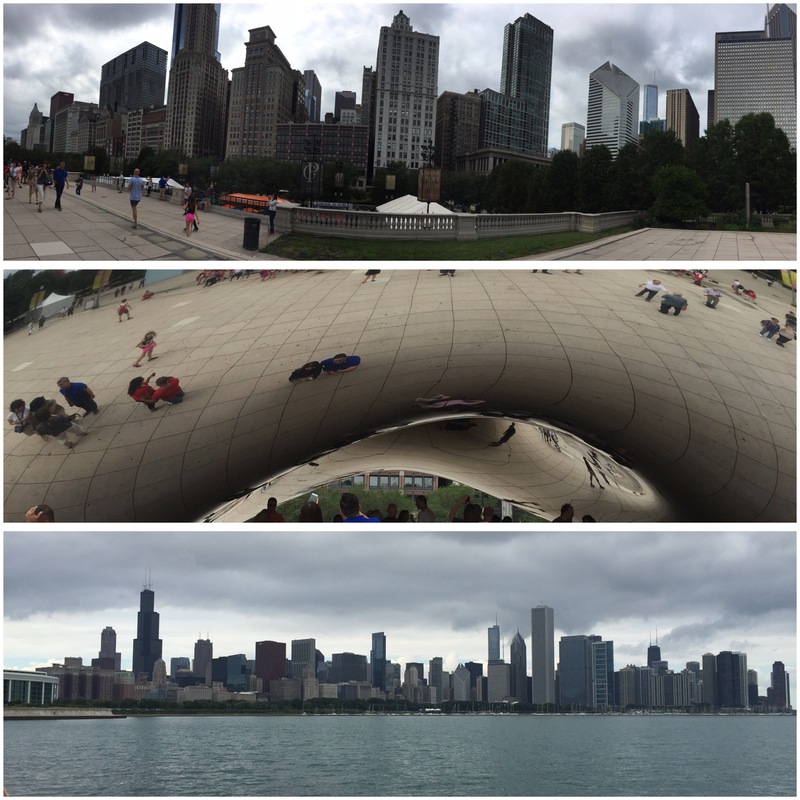 We spent very little time in the car today but walked ten miles as we checked out the city. We started the adventure off with som amazing Chai and vegan muffins at a place called Argo tea. 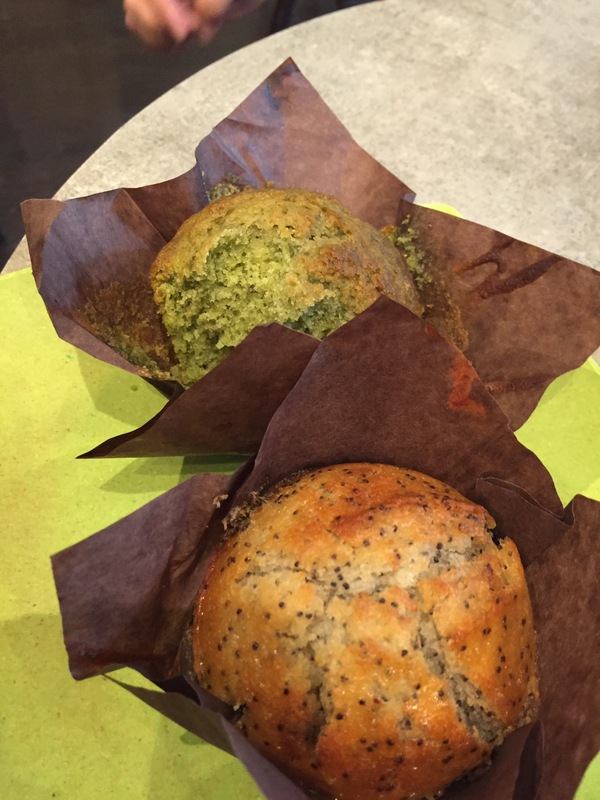 The lemon poppyseed and green tea muffins were awesome! Aside from checking out where Phillip grew up one of our main reasons for coming to Chicago was to experience the Art Institute of Chicago. 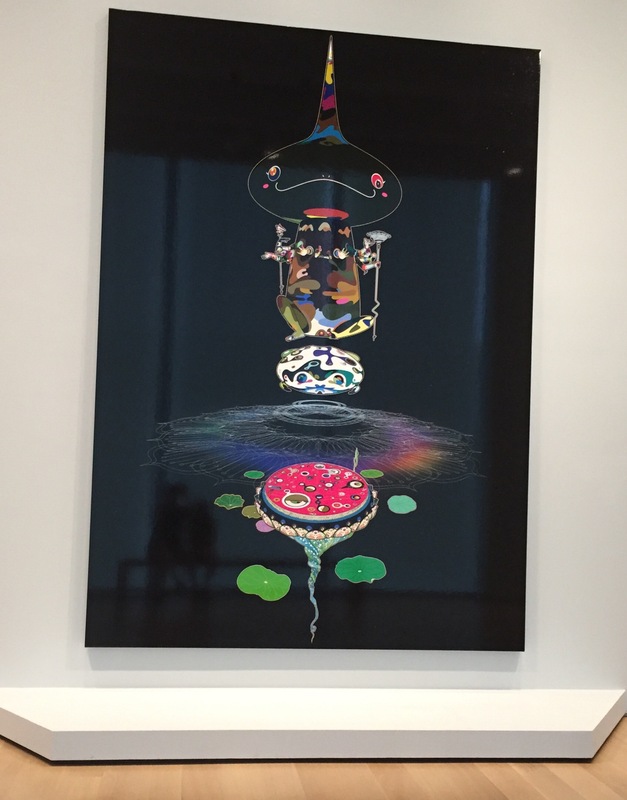 One of our first dates was to the MOCA (Museum of Contemporary Art) in Los Angeles. 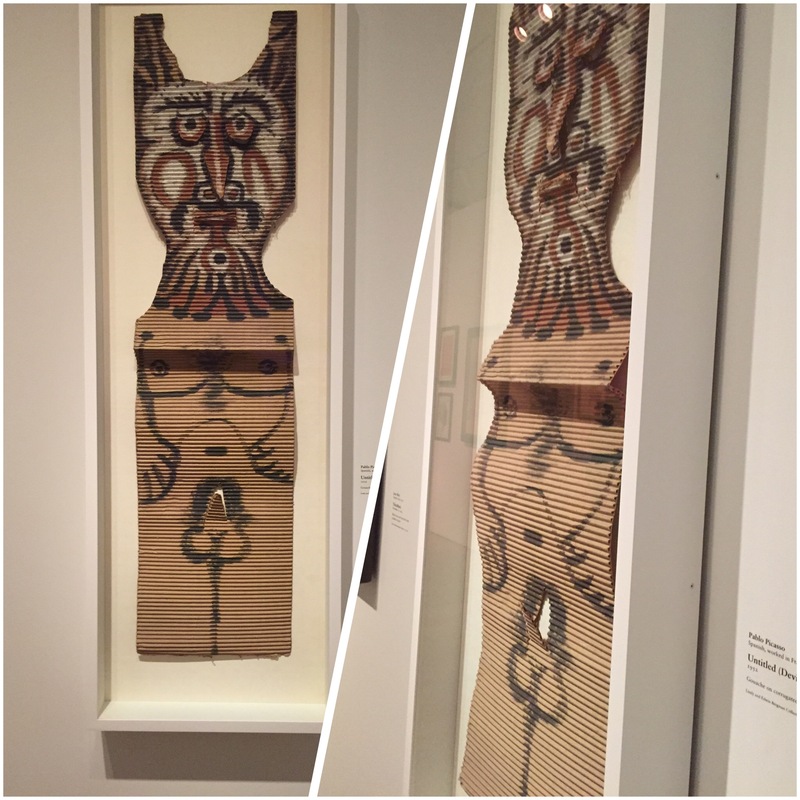 Throughout the early years of dating we spent many afternoons and evenings in various museums in the city. Art has been such an important part of our relationship that we decided early on that instead of buying Valentine gifts for each other we would invest in a new piece of art. No matter what museum or gallery we were checking out, Phillip would revert to stories of the art institute. I have been anticipating this trip for close to twenty years. The amount of emotions I felt as I walked through was surprising. 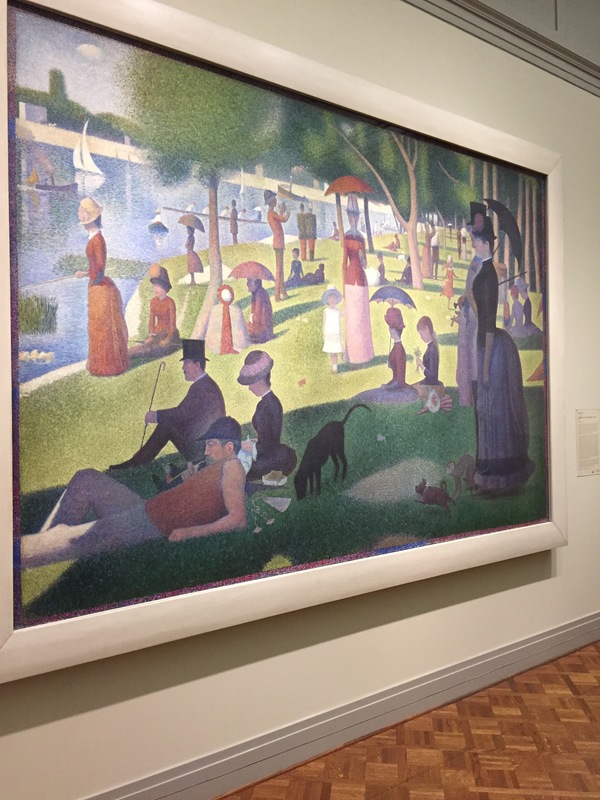 They had an impressive collection of Renior’s and Picasso’s that I found really exciting but when I got to see “A Sunday Afternoon on the Island of La Grande Jatte” by George Seurat up close and personal I got teary eyed. 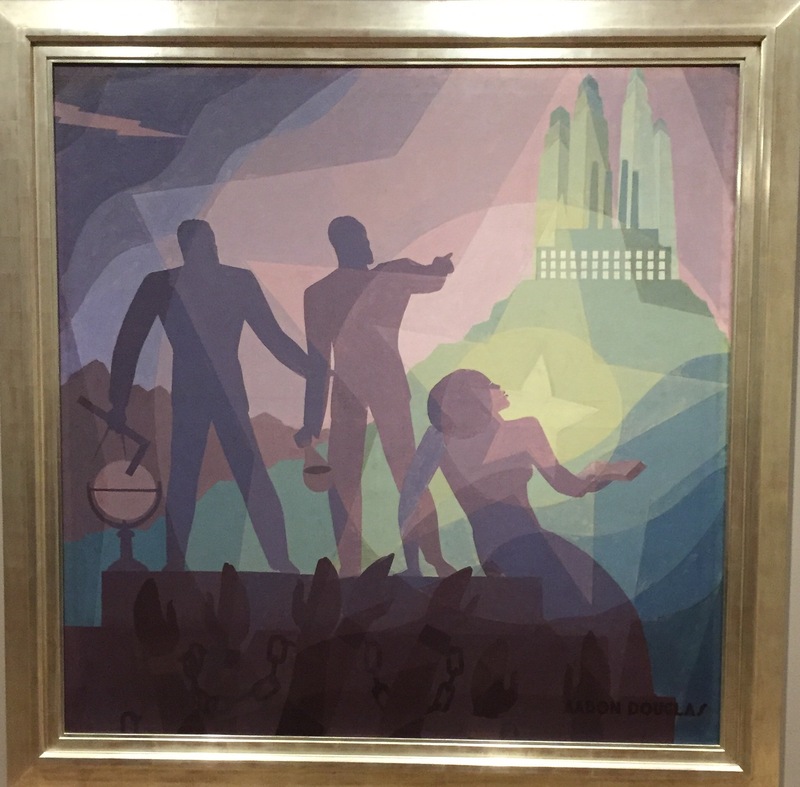 There were so many amazing pieces of work but I am going to show you a few that moved me the most. Devil by Pablo Picasso. This was more entertaining than impressive. It’s not one you will ever see in the art books. I really could go on all day but I won’t. If you enjoy museums this one should really be on your bucket list! After leaving the museum we jumped into Native Foods Cafe for some nachos and then went back out to explore. For dinner Phillip’s high school friend Tim and his wife Lorelli took us to the mostly vegan Chicago Diner. 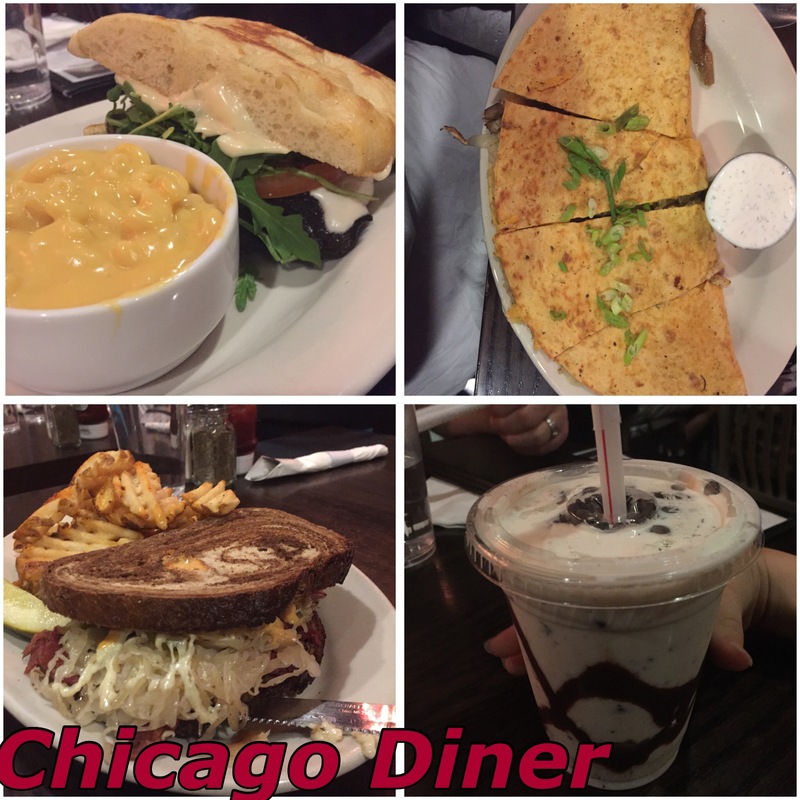 We tried a Reuben, the Portabella Melt, Mac n Cheez, a Perogi Quesadilla, and a Mint Chocolate Chip Shake. This is definitely a must eat at spot in Chicago! Be prepared to wait. It was packed. 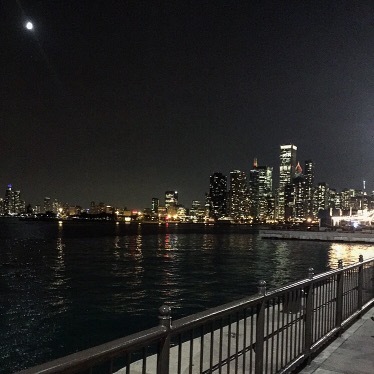 Before calling it a night we went down to the water front on Lake Michigan at the Navy Pier. It is super easy to be vegan. There is not enough time to eat at all the spots available. 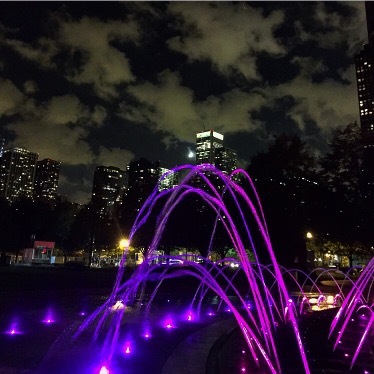 One more day to explore Chicago! Again, great post. 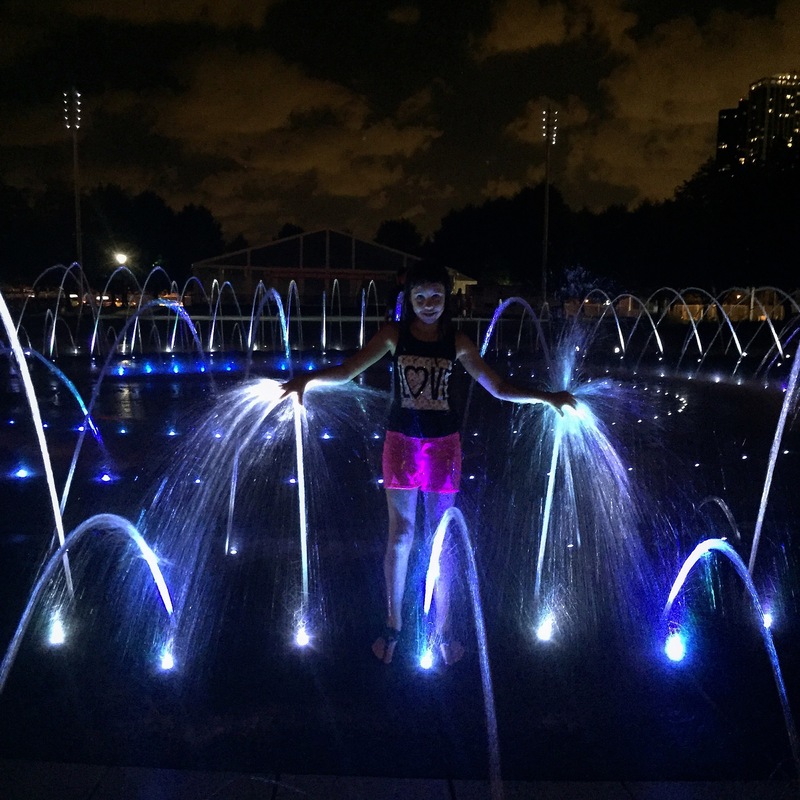 I hope to visit Chicago again now that I am vegan. I hope you plan to see Frank Lloyd Wright’s Oak Park home. It is so beautiful. Thanks! Don’t think we will make it to see the home. We have already decided we need to come back! Yes, always good to save something for later!! The food looks so good!! Looked like y’all had a great time!